Have a question? A comment? A suggestion? We would love to hear from you! This is how you can contact us. We are located about five miles northeast of Sturgis, or about one mile south of Bear Butte Lake. In this photo, Bear Butte Gardens is in the lower, center of this pic. 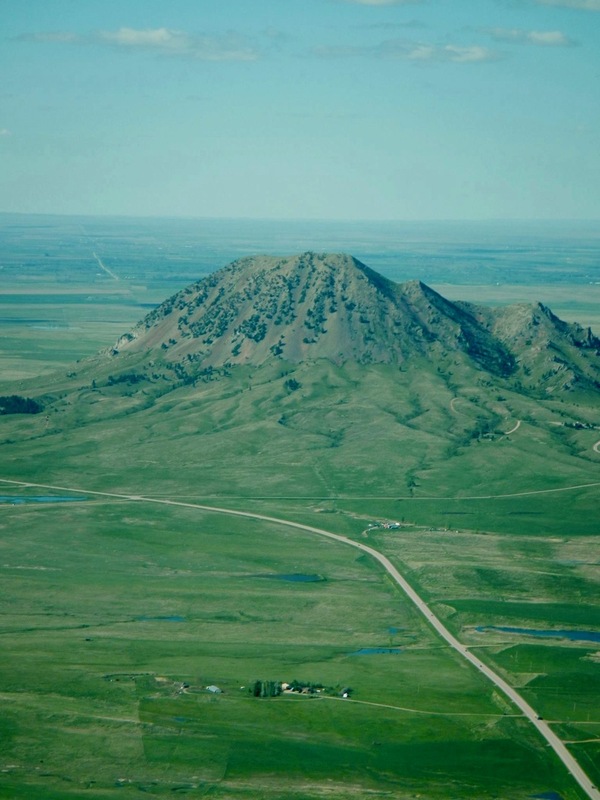 Bear Butte is the mountain in the background. Photo courtesy of Jimmy Doyle. Travel east on Lazelle Street. Lazelle Street turns into SD Highway 34 (also known as 206th Street). Travel east on Highway 34 about 3.5 miles (past Fort Meade, past Sturgis Brown High School, past Kick Start Travel Center) to the intersection of SD Highway 34 and SD Highway 79. Turn north (left) onto SD Highway 79 (also known as 131st Avenue). Travel north on SD Highway 79 about 1.7 miles. We are located on the west (left) side of the highway. If you get to Bear Butte Lake, then you are about one mile too far north.